Never again will you have to plan your clay project in advance, stifling your free-flowing creativity! 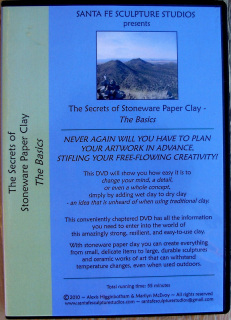 This fun and easy to follow DVD will demonstrate how easy it is to change your mind, a detail, or even a whole concept, simply by add wet clay to dry - an idea that is unheard of when using traditional clay. 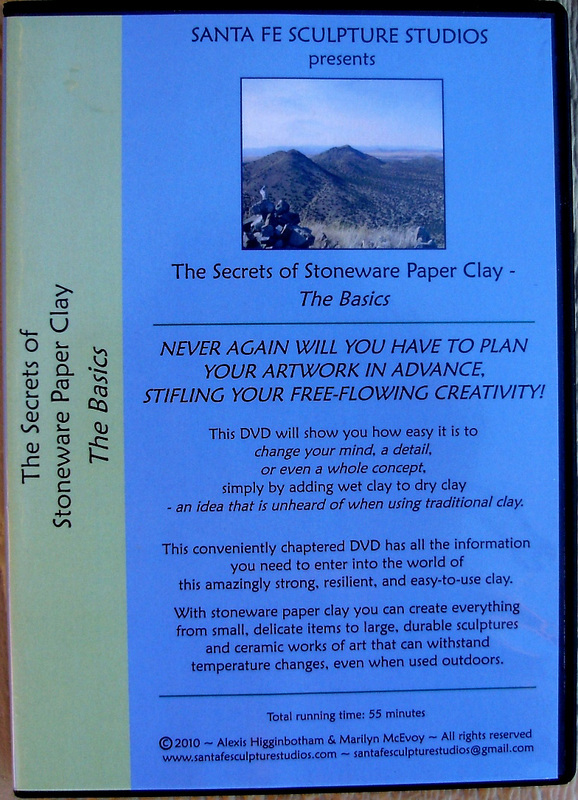 This conveniently chaptered DVD has all the information you need to enter into the world of this amazingly strong, resilient, and easy-to-use clay. I combine stoneware clay (cone 6) with cellulose fiber (paper pulp) to create the clay used in all my outdoor garden sculptures because it can withstand the extreme temperature changes - from the intense summer sun to the cold and snows of winter - in New Mexico. If you prefer to work in low fire clay for indoor pieces, just buy your usual clay and follow the same recipe as for the stoneware paper clay. On sale now for $9.99, including postage and handling. 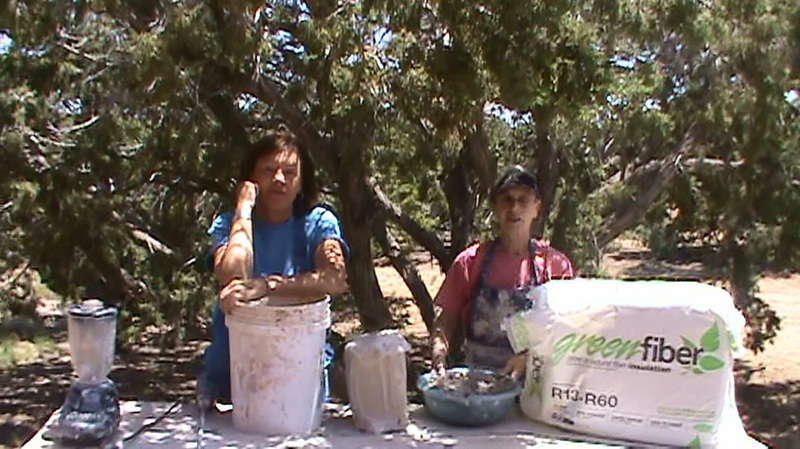 Helpful, fun, and informative DVD about working with paper clay.